Overparenting: Are you a Helicopter Parent, Drill Sergeant or Laissez-faire? This cartoon was created by Greg Williams in cooperation with the Wikimedia Foundation. 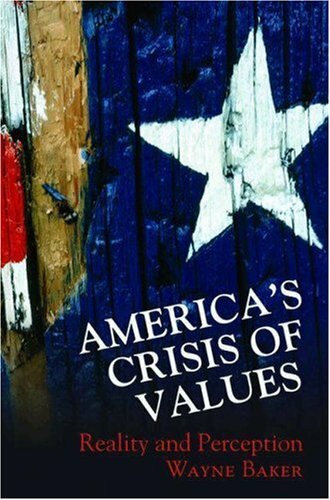 NOTE to READERS: Today, University of Michigan sociologist Dr. Wayne Baker returns to the OurValues project he created seven years ago. As a college professor, I occasionally will get a phone call from a student’s parents. Mom (or Dad) isn’t calling to thank me for a job well done, but to complain about her kid’s grade in my course and try to change it to the “A” the son or daughter deserves. The first time this happened I was shocked. Shouldn’t the student call me? Why was Mom calling? It was my first encounter with helicopter parents. Do you know any? Are you one? The term helicopter parent first entered the lexicon around 1970, but it wasn’t till some years later that it became a popular label for parents who are over-involved in their children’s lives. It’s easy to spot one if you visit a middle or high school. Later in their children’s lives, these parents are the ones who call college professors like me. (Cline and Fay are the founders of the popular Love and Logic program and books that teach parents how to raise responsible, independent children). Helicopter parents aren’t the only practitioners of overparenting. Drill Sergeants are another, say Cline and Fay. Like Drill Sergeants in the military, these parents bark orders and demand obedience. They make all the decisions for their children. They expect their children to obey orders, and when they don’t, the parents mete out punishments. One of the biggest problems with this overparenting style is that children never learn to think for themselves or make their own decisions. One adolescent I know whose parents are Drill Sergeants does very well academically but literally can’t decide what to eat for lunch. The opposite of overparenting is another type of style, what Cline and Fay call “laissez-faire parents.” These parents believe children will raise themselves. Some laissez-faire parents ignore their children, rolling their eyes at their antics and poor choices. Others try to be their children’s best friend, doing whatever it takes to make them “happy” and never holding them accountable for their actions. Do you recognize these parenting styles? Are you guilty of overparenting? I know I am. As a parent, what’s your advice for raising healthy, responsible, independent adults? Talk about this series with friends. OurValues is designed to spark good conversations on important issues of the day. You are free to share, print out or repost these columns to foster discussion. Start, today, with a note on social media sharing your thoughts—and consider leaving a comment, below, as well. Overparenting: Should you let your child FAIL? Overparenting: Does being a Consultant Parent work? Where is the happy medium? It’s easy to point out the extreme parenting styles, but how does one maintain a consistent, fair parenting style? One of the things I think articles like this lack is the solution. Read Love and Logic! The best parenting advice ever. Shows you how to balance the 3 types of parents. Thanks, Liz! Stay tuned. We will cover the solution later this week! I’m with Liz – where is the happy medium. Right now I’m a family manager – I’m not fun, my kids aren’t learning, I have to remind them to get their shoes on and brush their teeth every morning – Today they didn’t do it and cried all the way to school, asking me to take them back – I think they will learn from this consequence of not having the correct shoes. But tomorrow morning it will go down the same way. I am lost and frustrated. In addition, I have an impossible time coming up with concrete enforceable consequences that actually work. Check out the Love & Logic Institute! They have GREAT resources for what you are talking about!